I am excited to participate in the 2nd Annual Comic Book Invasion at City of Commerce Library next Saturday. 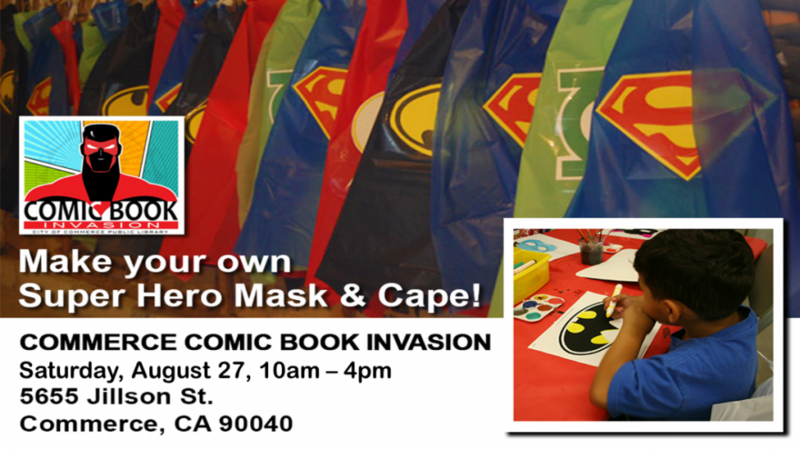 I will be doing a children’s craft activity at 1:25 PM, “Make your own Super Hero Mask & Cape”. This is a free event, bring all the kids! For more information click on the flyer below to link to the Commerce Library website. Don’t miss my Super Hero Mask & Cape workshop at 1:25 PM.